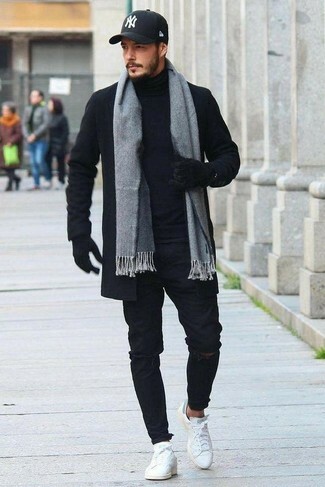 This laid-back combo of a black overcoat and a Cruciani Oblong Scarves from yoox.com is extremely easy to throw together in no time, helping you look dapper and ready for anything without spending a ton of time rummaging through your wardrobe. White leather low top sneakers complement this ensemble very nicely. 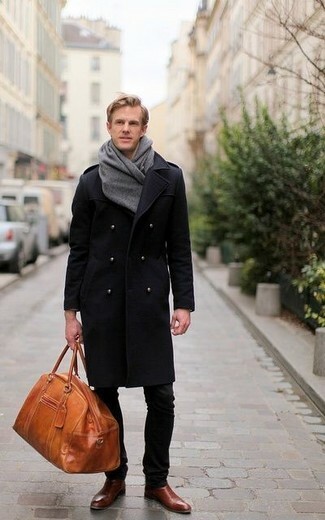 Make a black overcoat and a grey scarf your outfit choice to create a truly stylish and current city casual outfit. Finishing with a pair of dark brown leather chelsea boots is a guaranteed way to bring a dose of elegance to this getup. 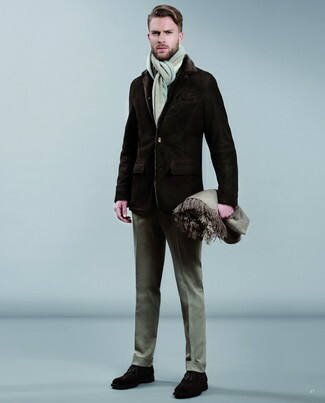 A dark brown shearling coat and a Cruciani Oblong Scarves from yoox.com are the perfect base for a casually dapper outfit. Don't know how to finish your outfit? Finish with a pair of dark brown suede derby shoes to step up the classy factor. 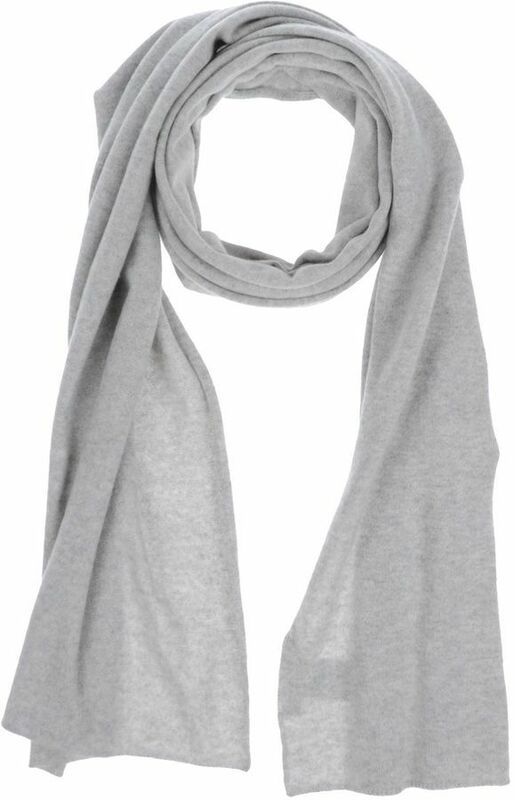 For a neat and relaxed look, dress in a navy blazer and a Cruciani grey scarf — these items fit perfectly well together. 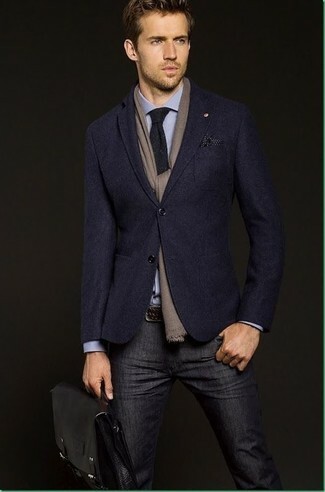 A brown barn jacket and a Cruciani Oblong Scarves are an off-duty pairing that every modern man should have in his closet. Transform your ensemble with a pair of burgundy leather casual boots. Team an olive plaid blazer with a grey scarf to be both urban and practical. In the footwear department, go for something on the dressier end of the spectrum and finish this outfit with a pair of tobacco leather oxford shoes. For an on-trend getup without the need to sacrifice on practicality, we like this pairing of a beige fair isle shawl cardigan and a Cruciani Oblong Scarves. Puzzled as to how to finish off your ensemble? Rock a pair of brown leather casual boots to class it up. 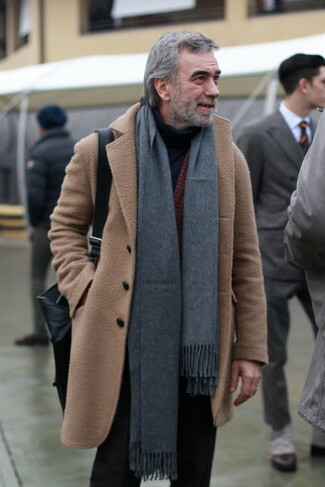 Why not try teaming a camel overcoat with a Cruciani grey scarf? As well as super comfortable, these two pieces look great worn together. This pairing of a black trenchcoat and a Cruciani grey scarf is on the casual side but guarantees that you look stylish and really dapper.